Springfield, IL – Today, after an almost two year-long journey, legislation sponsored by state Rep. Tony McCombie (IL-71) to extend protections to DCFS and Adult Protective Services workers in honor of slain-DCFS worker Pam Knight, received the unanimous approval of the Illinois House of Representatives. HB 1482 adds protections to DCFS and Adult Protective Service employees from assault, the same protections applied to teachers, police/fire, and other emergency responders who protect those in harm’s way. Attacks against state workers who protect our most vulnerable are unfortunately common – with more than a dozen attacks taking place since 2013. This legislation essentially closes a loophole in the law that omitted DCFS and Department of Aging workers from those harsher penalties that are applied when other public servants are attacked. 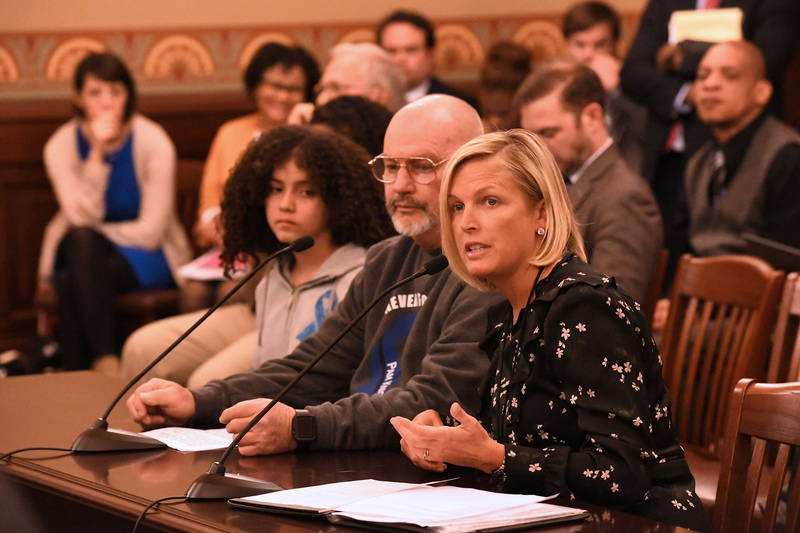 HB1482 will now move to the Illinois State Senate for consideration where Sen. Brian Stewart (Freeport) has pre-filed to sponsor the legislation.